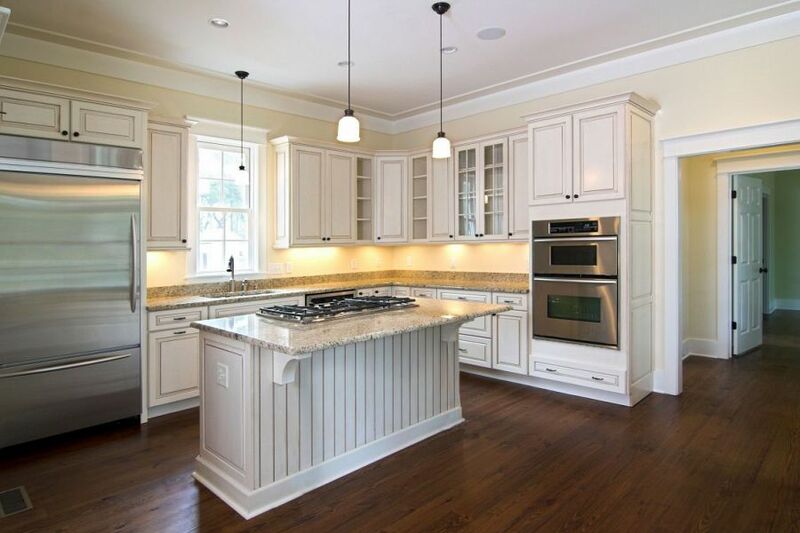 Renovating the kitchen could help sell it quicker and for a higher price. As the kitchen is the heart of the home, it is a major factor in determining a home’s re-sale value and kitchen renovations can be largely recouped on the sale of the home. Remodelling the kitchen or bathroom are possibly the two best investments homeowners can make in ensuring the value of their home. While a complete kitchen renovation could easily cost homeowners a substantial fee, there are ways to update and freshen up the look of a kitchen that won’t break the bank. The first step is to declutter the space and to get rid of all the unessential items. A lot of items on the counters and walls can make the room appear to be smaller and darker that it actually is. Once the space is clear of unnecessary items it will be easier for homeowners to see what they are working with. You should note that it is important to have a plan and decide what type of materials to use before a hammer is picked up. Any plan that will involve moving major elements such as stoves or sinks will be expensive and will require a lot of labour. Set your priorities and stick to them, ask what elements of the room needs to change and what doesn’t. Rather than completely replacing items, a good suggestion is that homeowners try to re finish them or only replace certain parts. Laminated countertops can be re-laminated, it will cost less but isn’t easy to do. If opting to replace the countertop, using a square-edge rather than a rounded one will make it look more modern. Cupboard doors can be sanded down and re-sealed. Alternatively, the handles on the cupboards can be replaced at very little cost. When renovating on a budget, it’s important to be creative with your purchases. While a large majority of people are after the expensive European appliances, many cheaper, local brands function just as well and still have the sought-after stainless steel look. Features such as Granite countertops and glass splash-backs are very popular and look expensive – because they are expensive. A good tip for homeowners is to choose materials that look similar but cost a fraction of the price. A simple coat of paint can make a big change to a kitchen, especially if the current colour palette is out dated. When choosing a colour, it is best to go with neutral colours as they will make the area appear to be a lot larger. Working with a neutral colour scheme will also allow for the use of other colours to accentuate certain elements in the room. Be warned though, if the right paint is not used it can easily chip in hard-working areas such as a kitchen. Be aware that while costs can be saved in most areas of a kitchen renovation, it is vital that the electrics are undertaken by a professional electrician to avoid dangerous accidents. For more tips on sale aesthetics, contact an agent at Alert Property Group.